Has your 3G network ever suffered from conventionitis? It's a condition known to strike when a few too many smart phone users take advantage of their provider's data network to share photos, inspirational quotes, bragging, video, and other goings-on in the midst of fine tech festivals and conferences such as South by Southwest (SXSW), Macworld and WWDC. Such usage often leads to severe network congestion. Other symptoms may include loss of connectivity, massive disappointment, prolonged bouts of rage, and total disillusionment in one's own cell phone provider. For 2010's SXSW, The Statesman reports that AT&T hopes to have the cure for conventionitis. The vice president and general manager for AT&T South Texas claims that the company has “been doing a lot of work” in downtown Austin to ensure that this month's SXSW 2010 won't be like SXSW 2009, which saw iPhone convention-goers overwhelm the local AT&T infrastructure. AT&T has installed a cellular antenna system in the Austin Convention Center to handle the lion's share of cell phone traffic. In addition, the local cellular towers have been enhanced and a series of temporary cellular on wheels (COW) portable transmission sites will be set up around the region to handle the rest of the traffic. There will be faster backhaul links present to keep bandwidth from getting too congested, and AT&T's own network of Starbucks-hosted Wi-Fi hot spots have reportedly been enhanced to better meet the needs of attendees. It doesn't appear that AT&T is addressing coverage problems in any region outside of downtown Austin for now. As a resident of the area, I've noticed that EDGE reception is still very poor in several parts of South Lamar and the rest of South Austin, and my own apartment is not without its share of mysterious dead zones. Rest assured, I've done my part to report these problems, but I also understand that AT&T's priorities lie with its most outspoken customers, especially for users that need their network the most. Still, Austin has plenty of free Wi-Fi hot spots to go around, and iPhone apps such as Spots can help you track them all down. So even if AT&T's network doesn't hold up—which is still a likely scenario with the rapid uptake of iPhones and Android devices —it pays to have a backup plan at the ready. 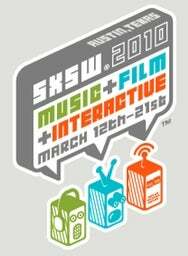 If you're planning on attending SXSW 2010, don't forget to do your part to prepare for conventionitis: eat well, stay hydrated, bring business cards, and don't be afraid to meet interesting people. With all of that squared away, you're guaranteed to have a good time.